The whiff of coffee awakens me on a damp morning in Coorg. 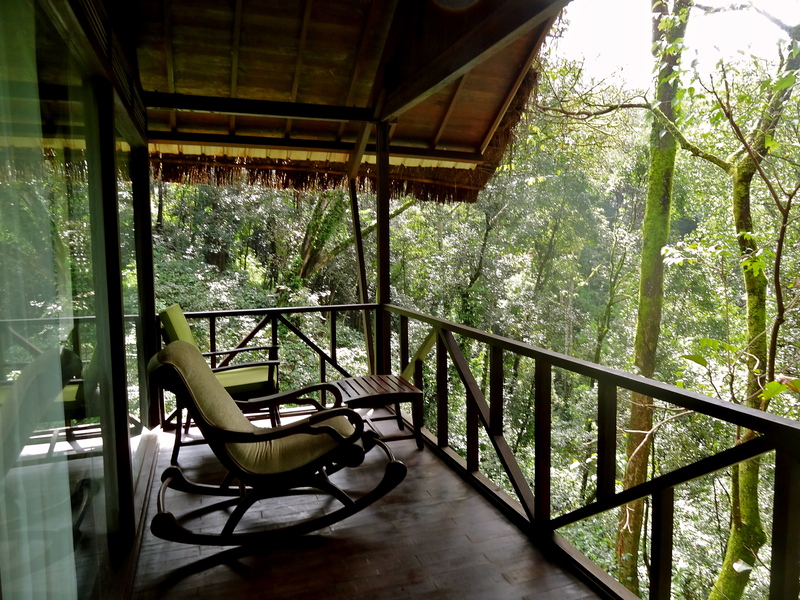 I lazily walk into my balcony, to witness silver butterflies dancing above the coffee plantations and the forest bathed in warm sunlight. I don’t know it then, but this is just the beginning of my love affair with Karnataka’s coffee country. When our bus arrived at Hattihole the previous evening, a gentle mist had engulfed the rivers, rice paddies and sleepy hamlets. Watching the rains lash the forests through my glass windows, I tried my first ever Coffee Spa; scrubbed with grinded coffee beans and massaged with hot oils, ninety minutes of aromatic coffee bliss! Morning view of the forest from my balcony. When the sun finally emerges, we walk along acres of coffee, cardamom and pepper plantations, down to a river with a hanging bridge built by the village folk. Walking on its delicate planks, our local Kodava (Coorgi) guide tells us about the indigenous traditions and culture of Coorg, the Kodava food and berry wines still made in village households. 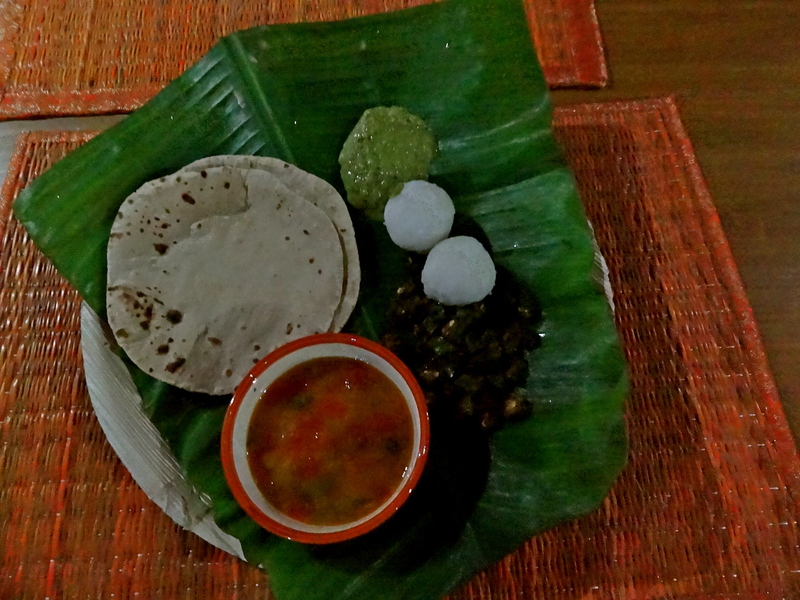 Only a single restaurant in Madikeri (called Coorg Cuisinette) and a handful of homestays now serve local delicacies like bamboo shoot, kidney beans and pork curries. Who needs an engineering degree when necessity is the mother of invention?! 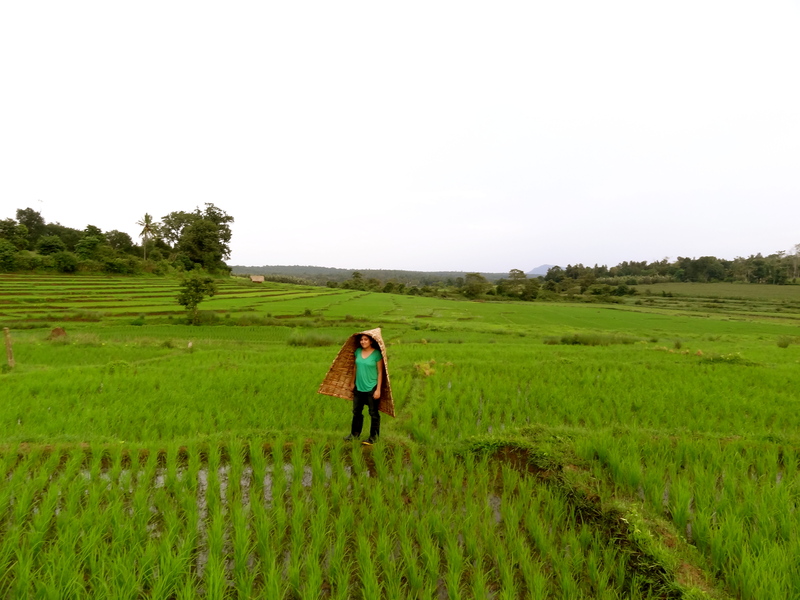 Eager for a taste of traditional life in the region, we move to a small family-run farm stay along rice paddies, in a typical Coorgi village. This is a local family’s endeavor to create an organic oasis; huts furnished with bamboo artefacts and earthen pots, lampshades carved out of pumpkins, rice paddies sustained without fertilizers or pesticides, an indigenous waste water recycling technology, and delicious food that is entirely organic, including the oil, rice, vegetables, and even fruits. View from our balcony on the farm. Rice dumplings, ajvain chutney, organic veggies and phulkas for dinner! Sitting in the breezy lounge of the farm, Narendra, our host, talks about how much Coorg has changed since the British planted its first coffee plantations. Spending his childhood on these estates, he ultimately became a coffee trader and later a coffee broker, all the while, trying to perfect the art of making coffee from seed to cup. When we finally taste his organic in-house brew, we are reminded of the quaint cafes in small Italian towns! We spend lazy afternoons on the farm, splashing in the rice paddies in gumboots and a traditional bamboo rain protector, and cycling in the surrounding villages, with maize fields swaying in the backdrop. On hearing about our love for the roads less travelled, Narendra drives us through his favourite coffee trails in Coorg, enchanting us with stories of the Kuruba jungle tribe, who tame wild elephants by feeding them weed! He introduces us to a hobbyist beekeeper who makes the tastiest honey I’ve ever tried, and gives us a glimpse into the lives of monks, at lesser known monasteries in the neighboring Tibetan camp of Bylakuppe. 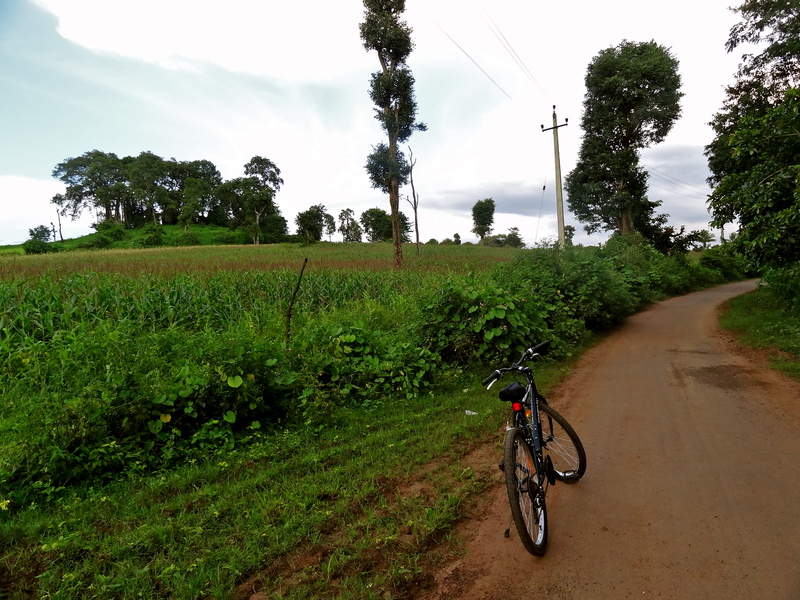 Cycling along the maize fields in a typical Coorgi village. 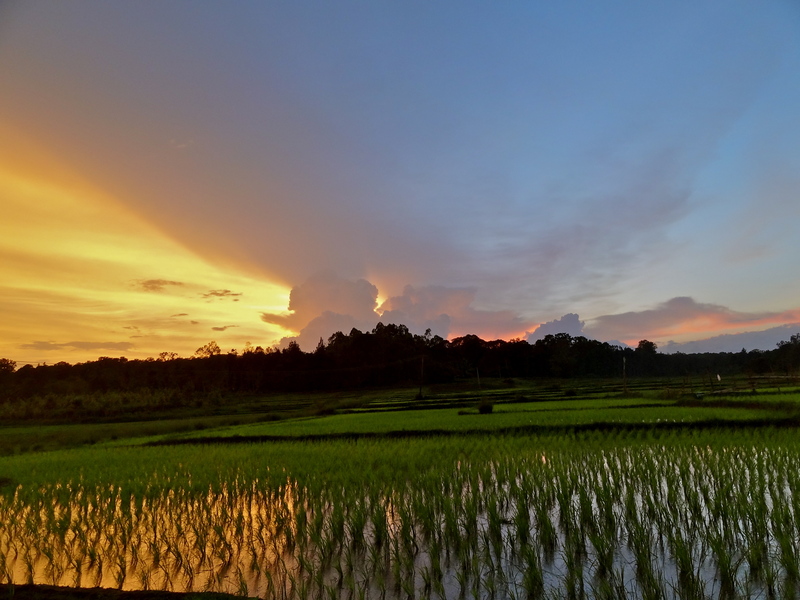 Sunset over the rice paddies on our last evening in Coorg. Over our last cup of coffee in Coorg, Narendra asks us what we’ll miss most about his homeland. With a pause, I say, the coffee and conversations. 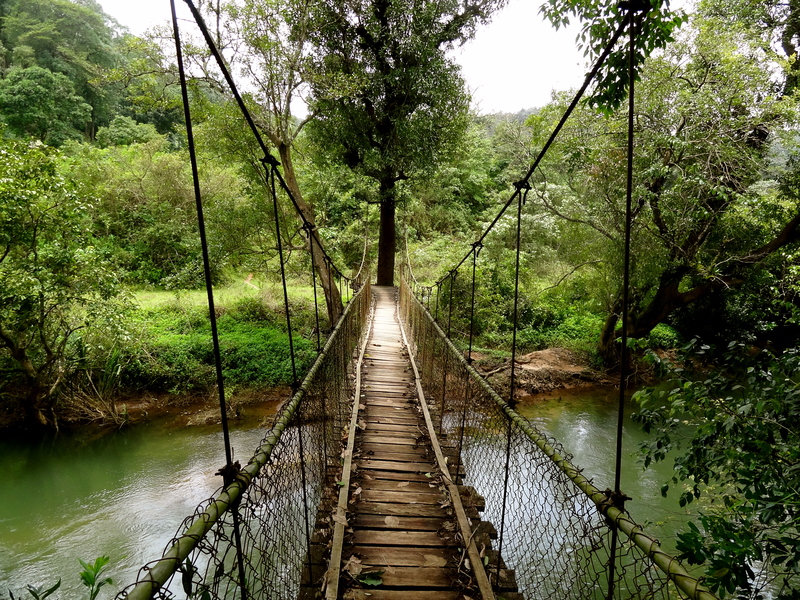 Have you been to Coorg? Share your stories from the coffee country! We were hosted by Meriyanda Nature Lodge on the first leg of our Coorg trip. Meriyanda is a forest retreat with a nice coffee spa, but the lack of local food on their menu and staff disinterested in the local culture was disappointing. During the second half of the Coorg adventure, we stayed at Narendra’s Organic Farm, a family run farm-stay near Kushalnagar, which I highly recommend for a true Coorgi experience. Join me on Instagram, Facebook and Twitter for more honest travel stories from around the world. Nice to know you were in Coorg. Could have extended your travel till Wayanad. Nice post and lovely clicks.. Yes, Wayanad is a must-do. Will never forget my visit there last November. 🙂 Eager to visit Coorg now. I can almost smell the coffee after reading your post! Hi Shivya, We always used to associate India with tea rather than coffee – interesting article. Nice photos too! Glad that perception’s now changed, Pete. The Brits got both tea and coffee to India, and there are lots of coffee plantations and such in Coorg and Wayanad (north Kerala). Got to try a coffee homestay! Glad to have your virtual company, Karan! Wow. 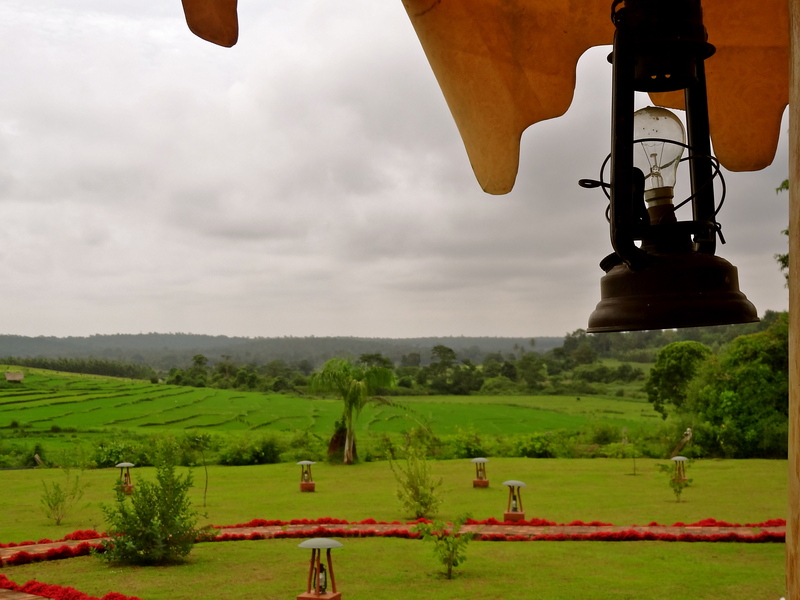 This is such a beautiful place in Coorg. The food looks simple yet healthy. Loved the pic of rice field and the sunset! Sheer bliss! It was blissful, Anu! Glad you liked the pictures 🙂 Plan a trip to Coorg soon! Did you visit Kushalnagara and the Tibetan settlement there? Absolutely, that’s exactly close to where the farm I was staying at was! Loved the Tibetan camp. So beautiful, and the monasteries so peaceful. Have you been? Sunset over paddy field is pleasing. Thanks for sharing them. By the way which camera you use to click these ? Thank you Richa, glad you liked it! I’ve had almost no connectivity on the road the last 2 weeks 🙁 Got so much more to share. Shall be posting soon. hi shivya, i read your article on coorg i am proud to say i am narendras sister staying in bahrain. i was thrilled to see d photos on your blog both on coorg and bahrain. i just loved your blog. Go down from Coorg downside of the Western Ghats you find beautiful beaches and tourist places in Mangalore, Udupi and North Canara Districts. You love these Beches, Beach resorts, Temples, Churches Islands. loved your pictures! can you tell me where was the bridge picture taken? what location? i am planning to visit coorg and i can’t get over that picture! Brilliant Photos ! Have you seen the golden temple in Coorg ? Where exactly did u stay in Coorg? Can you leave your boarding details, so that I can go there too? Coorg is one of my favorite places in the world. Well I hope to write about my stay in Coorg in a while. I love coffee and conversations, it’s homestays, it’s landscapes. It was a place taken during school excursions, now I go when I find time from work. Great photos, nice articles. Hello,Loved your blogs.I am planning to vist Coorg this month.Solo trip.Is it preferable? Loved the post to the core and pics look cool. your experience thrilled me to visit Coorg. Previous PostLakshman Sagar: Add it to Your Bucket List!